65% of Quezon City’s electric consumption is for streetlights. The city government adopted a plan to increase energy efficiency, under a World Bank-sponsored programme. Growing 2,8-million Quezon City updated its Land Use Plan to balance urban development with the preservation of its green spaces. The night sky in Quezon City is dotted by blue, orange and white lights that surround the bay of Manila. These streetlights will now be more efficient and consume less energy. 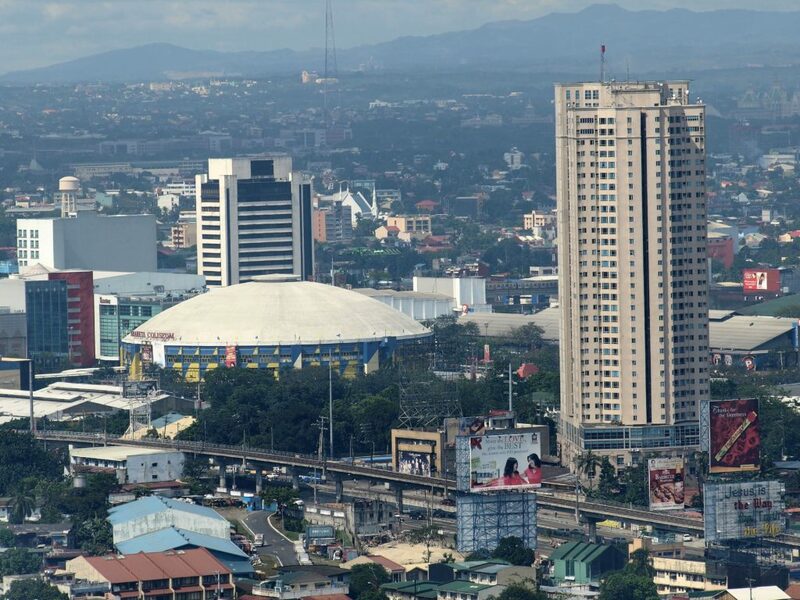 A dynamic and growing city, belonging among other cities to Metro Manila, the national capital of the Philippines, Quezon City is the most populated city in the country. Having been the national capital for almost three decades, Quezon City is also the site of many government offices, including the Batasang Pambansa Complex, which is the seat of the House of Representatives. The city is one of the beneficiaries of World Bank’s three-year Carbon Financing Capacity Building Programme (CFCB) in Emerging Cities of the South and in ECOS (Ecology, Economy and Social Responsibility). The aim of the programme is to assist cities in industrialized and developing countries to mitigate greenhouse gas emissions and to adapt to the effects of climate change. As part of a comprehensive attempt to drive sustainable urban development, the local government has chosen as its CFCB project “Energy Efficiency from Streetlighting”. Streetlights constitute almost 65% of the city’s annual electric consumption with an average monthly billing of $615,000. The administration plans to establish baseline data on energy efficiency and emission reduction from the use of LED technologies, reducing electric consumption (which means less costs and less CO2 emissions). Quezon’s administration acknowledges that balancing urban development with the preservation of green spaces and improvement of quality of life is a crucial challenge for a 2.8-million-people city. With this idea in mind, the city government updated its Comprehensive Land Use Plan, adopting the modern trend towards balanced, mixed-use communities and recognizing the need to maintain environmentally protected zones especially around the city’s reservoir. Local ordinances were also passed, prescribing standards for the design, construction and retrofitting of buildings in the city, and requiring all new buildings and housing construction in Quezon City to devote at least 30% of their roof area to plants and trees. It also launched an improved waste management and reduction plan, aiming at cutting in half solid waste, the only major city in the Philippines to adopt this measure. Part of the waste is now helping produce clean energy, thanks to the biogas plant located in Payatas. The Biogas Emissions Reduction Project was also registered with the United Nations Framework Convention on Climate Change (UNFCCC) as the country’s first Clean Development Mechanism (CDM). With revenues from carbon credits, the city government is funding socio-economic and livelihood programs for the Payatas community. Due to its exposure to tropical cyclones and flooding, Quezon City and Metro Manila as a whole are threatened by climate change. Typhoon Glenda, in 2014, was the last to wreak havoc, causing death and destruction. Floods are becoming a familiar sight in this area, which prompted the local authority to earmark $3,4 million for flood control. The 21 projects include improvement of drainage systems, construction of ripraps, retaining walls and box culverts. Homes and businesses, natural resources and landscapes, in Quezon City as elsewhere, will be at risk if no agreement is reached between developed and developing countries on how to tackle climate change and who should bear the costs of reducing emissions and mitigating increasing climate instability. Quezon City is an ICLEI Member and is reporting its carbon emission reduction targets and progress on the carbonn Climate Registry.